Ant-Man and The Wasp is one of my absolute favorite Marvel movies! 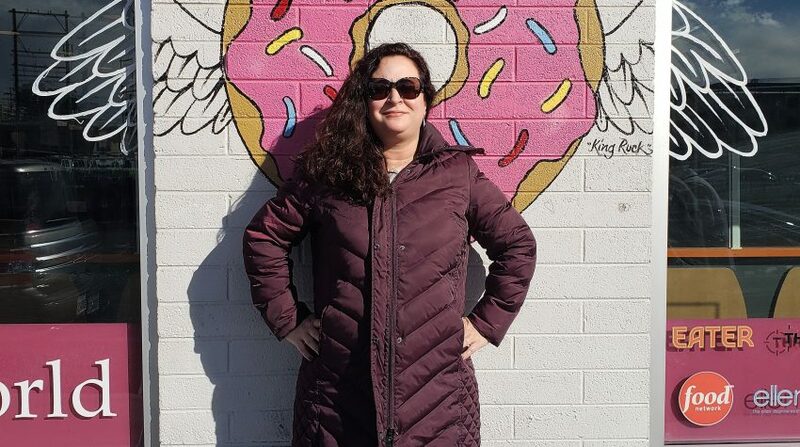 I was so thrilled to go to Disney Studios for the blogger event that I wanted to add some fun touches to my outfit that day. 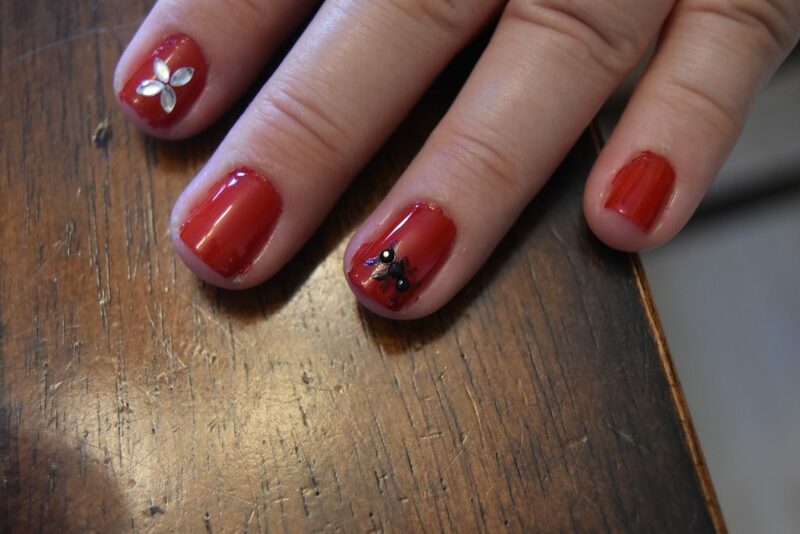 I came up with my own version of an Ant-Man and The Wasp Easy DIY manicure. 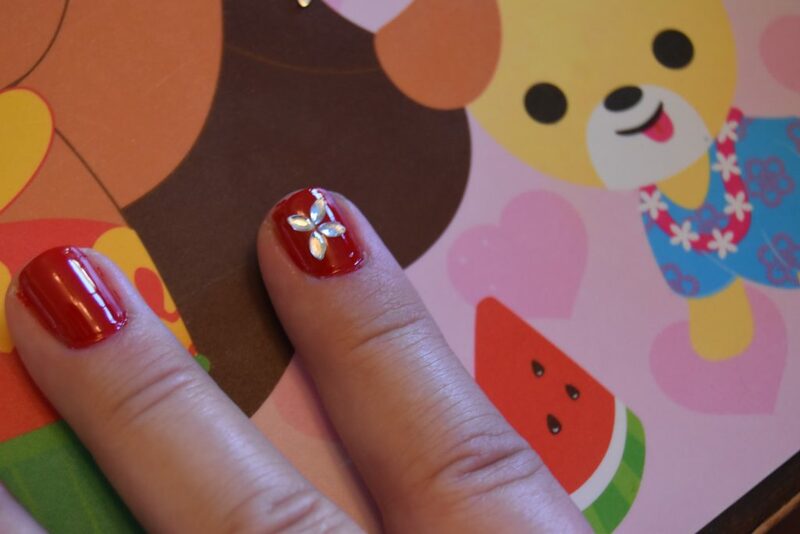 This manicure is fun and simple to make. I was aiming to come up with a manicure that was subtle, yet clearly an homage to the movie. Disclosure: This post contains affiliate links. The website might make a commission from purchases made through these links. Next, apply two coats of red nail polish. 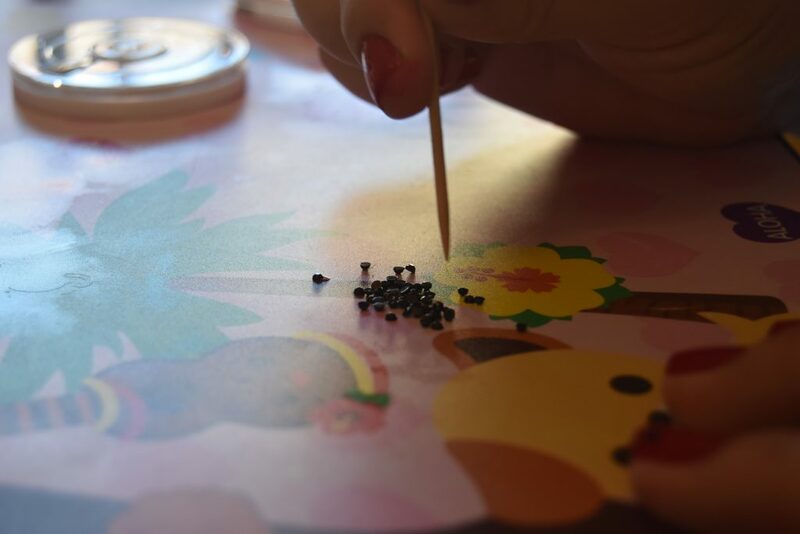 Place three round black nail gems in a straight line to the fourth finger nail of each hand while nails are still wet. Be sure to press the gems firmly into the wet polish. These gems will later become the ants in your Ant-Man and The Wasp Easy DIY Manicure. TIP: Wet the end of a toothpick, then touch it to the gem. 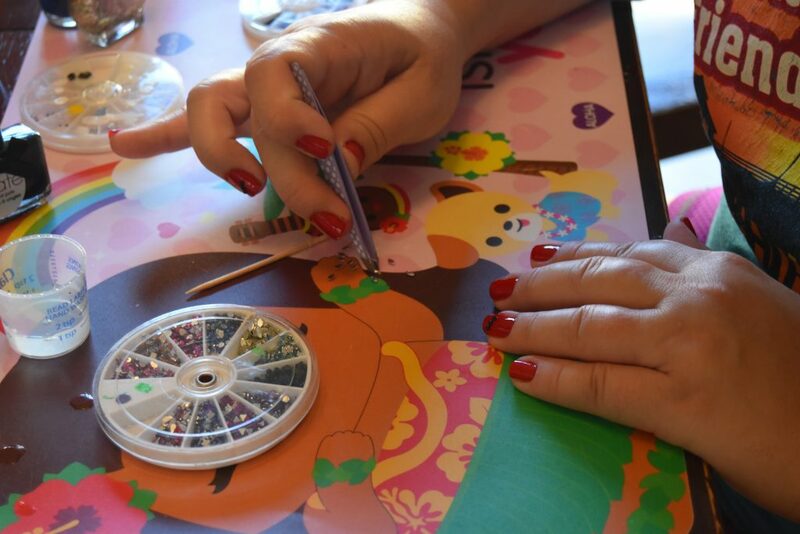 Using a toothpick will make it easy to pick up the gem and apply it to the nail. 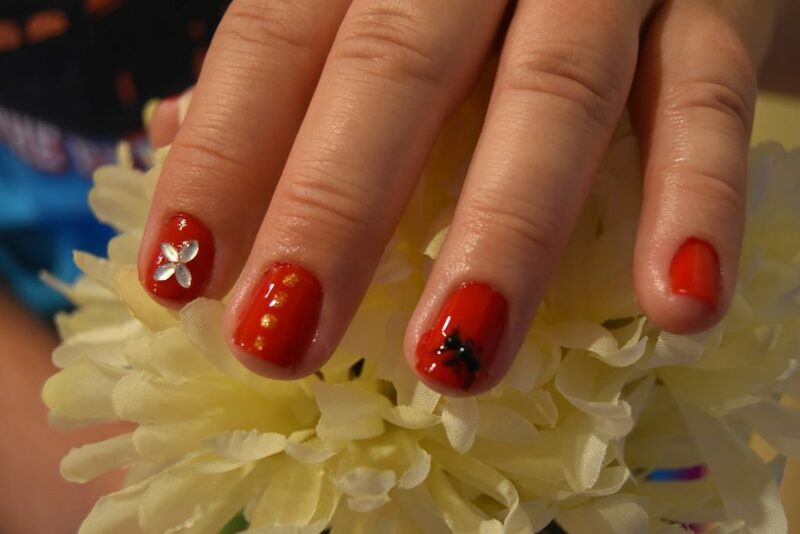 Apply four tear-shaped nail gems in a wasp wing design on the index fingers of both hands. I had to use tweezers to pick up and place these gems because they were relatively large. 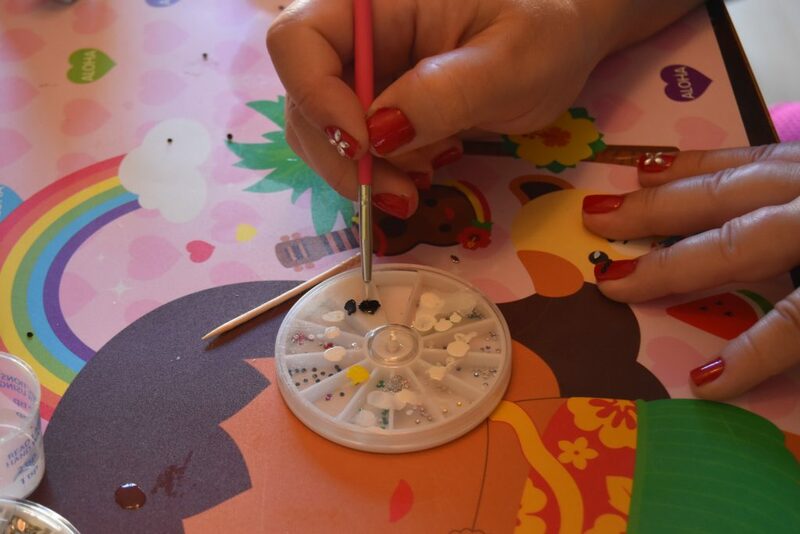 Again, make sure that the nail polish is still wet when applying the nail gems. 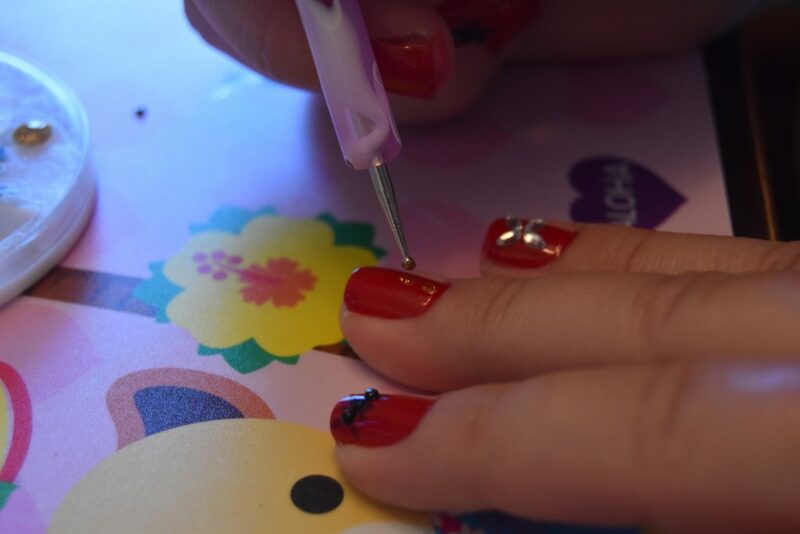 This nail design will represent the wings of The Wasp. TIP: If the polish is already dry, apply a dab of clear polish on the spot that you want to stick your nail gem. Make sure that nails are dry. 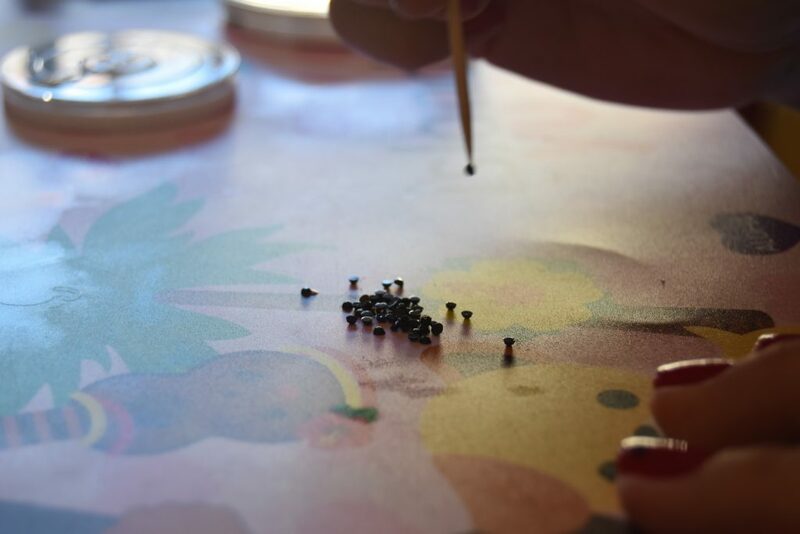 Take a dotting tool or bobby pin and apply a strip of gold dots to the third finger of each hand. This gold strip will tie in the whole yellow/gold and red theme of the movie for your Ant-Man and The Wasp Easy DIY manicure. You can definitely use yellow nail polish instead of gold. However, I used gold because I wanted my nail design to be a little more subtle. Draw six legs and some antennae on each ant. Ant-Man has to have those ants on call! Apply clear polish once all of the paint is dry. 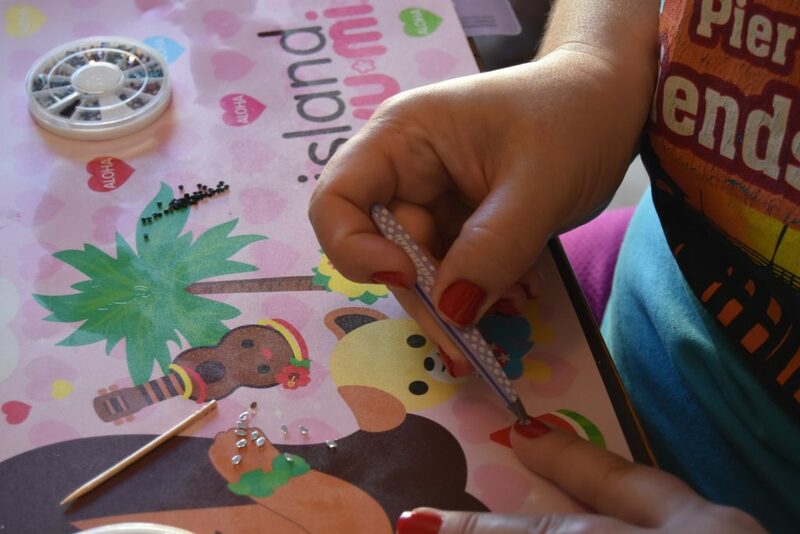 Don’t rush this step or your will smear your nail art! 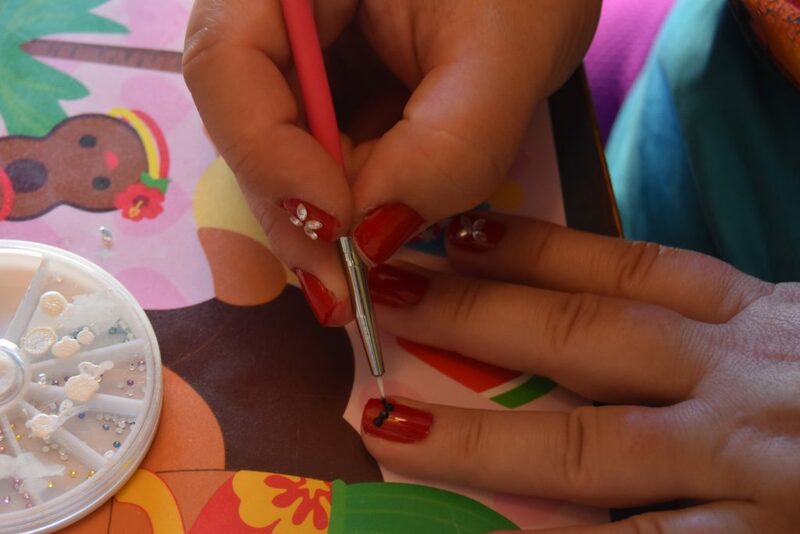 Clean up nail edges with a polish remover pen once nails are dry. 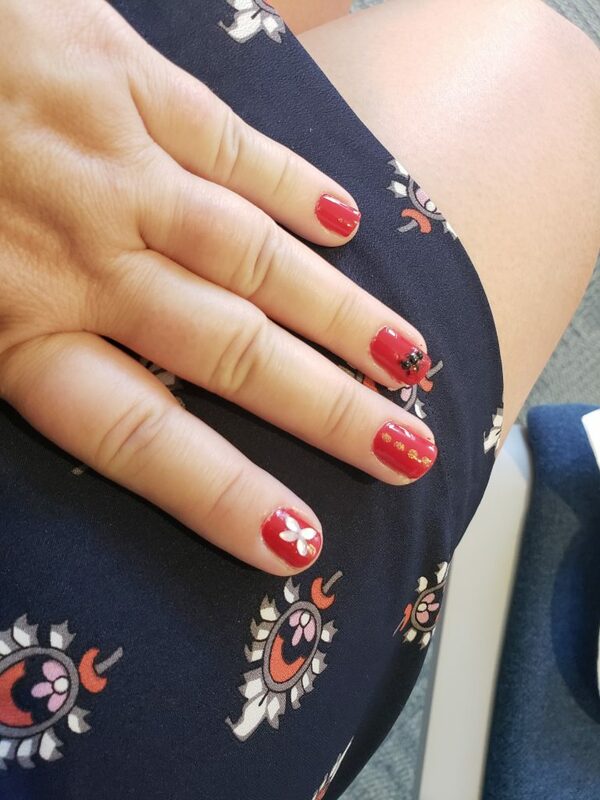 Pretty proud of how my Ant-Man and The Wasp manicure came out and went well with my outfit! Next step? Learn some magic tricks like Ant-Man so that you can showcase your beautiful Ant-Man and the Wasp Easy DIY manicure! Check out our experience at the Ant-Man and The Wasp Blogger Press Day here. 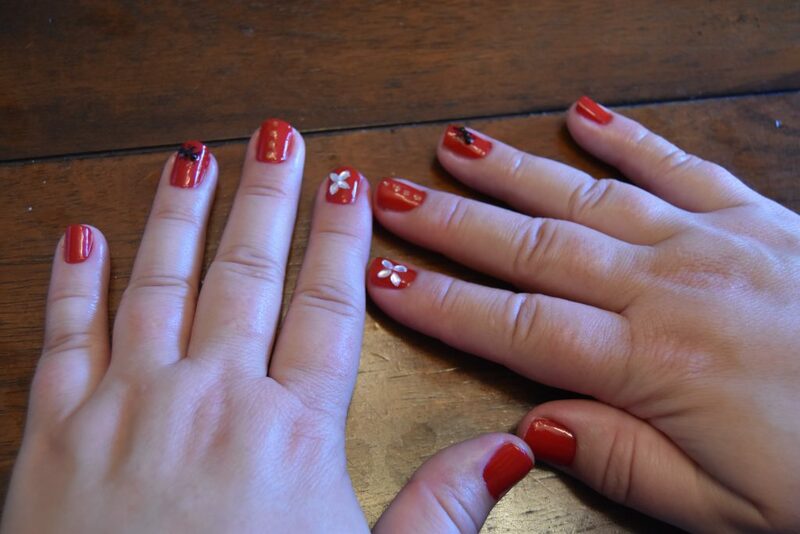 SEE OUR BEAUTY AND THE BEAST HAIR AND NAIL DIY HERE!